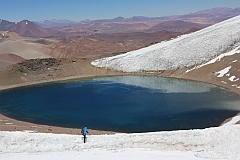 The Nevado Tres Cruces MedExpedition 2015 aimed at exploring Tres Cruces Norte Lake situated in the crater of an extinct volcano meters at the altitude of 5907 above sea level. Nevado Tres Cruces is one of the highest volcanoes in the world. 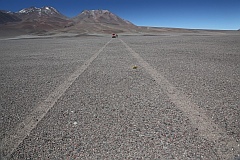 It is situated on the brink of the driest region in the world, namely Atacama Desert on the border of Chile and Argentina. 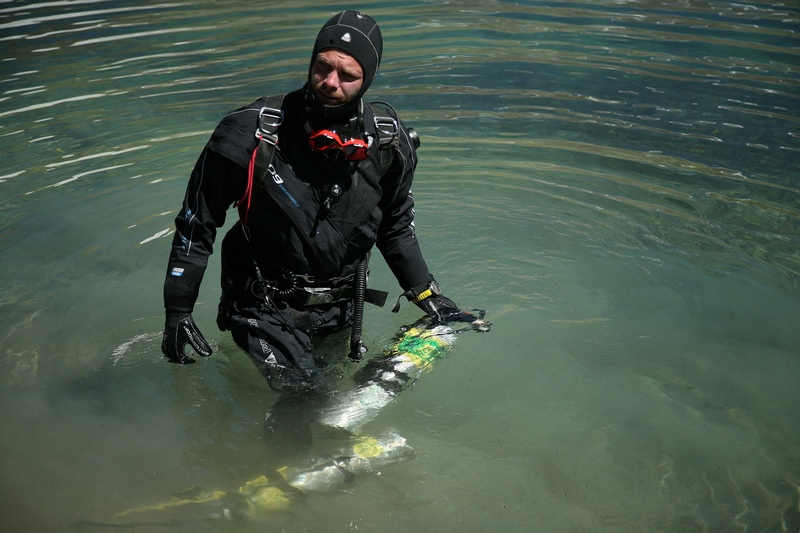 The lake exploration involved determining its actual depth since it was previously unknown, and looking for any forms of life in the lake ecosystem. 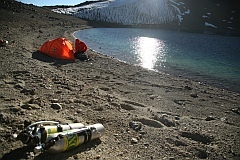 The other main objective of the expedition involved conducting studies on the impact of extreme altitudes on a human body; in particular as regards assessing the diver’s behaviour during the dive at such high altitude and acclimatization of people with implanted heart pacemaker and the impact of altitude on heart rhythm and quality of sleep. 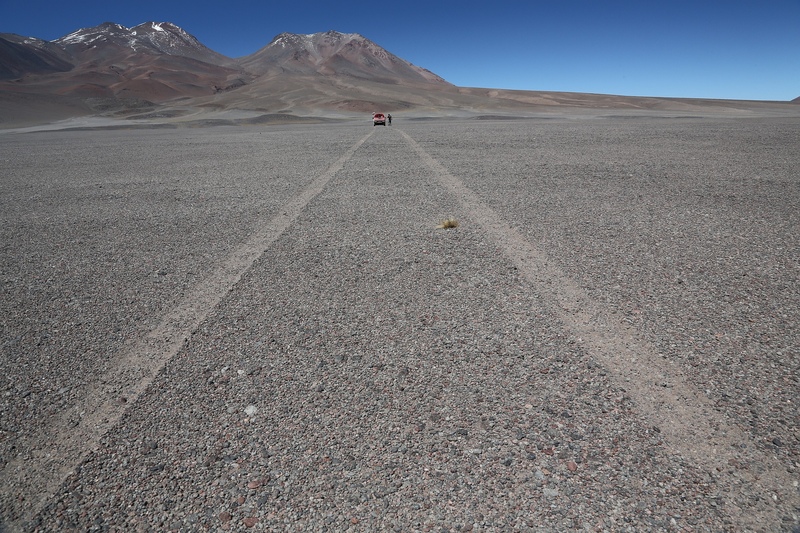 Since so far the number of people diving at the altitude of over 5500 meters above sea level has been lower than the total number of astronauts landing on the Moon, each dive held at such high altitudes has been considered experimental. 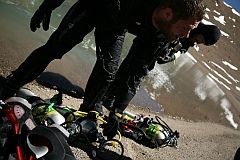 To put it simply, the behaviour of a human body during the dive at such low atmospheric pressure has not been thoroughly examined. 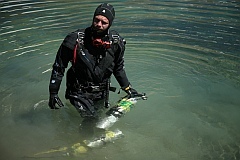 Diving in Tres Cruces Norte Lake took 23 minutes and the lowest recorded depth totalled 11 meters. 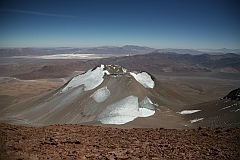 Despite relatively shallow depth, the dive was very difficult since you had to take into account very low atmospheric pressure at high altitude, logistic problems, fatigue caused by climbing, physiological effects in the form of deteriorated mood and risk related to altitude sickness. Diving in such a remote part of the world combined with the need to take the entire diving gear with the cylinders to the altitude of nearly 6000 meters above sea level required precise planning of gear configuration. 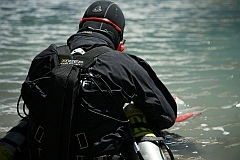 The preparation for expedition lasted over six months and the gear was repeatedly tested in order to find the optimal configuration. Finally, sidemount configuration was chosen, based on the XDEEP STEALTH 2.0 system, already tested during expeditions to remote regions far away from civilization and while diving at the altitudes of over 5000 meters. 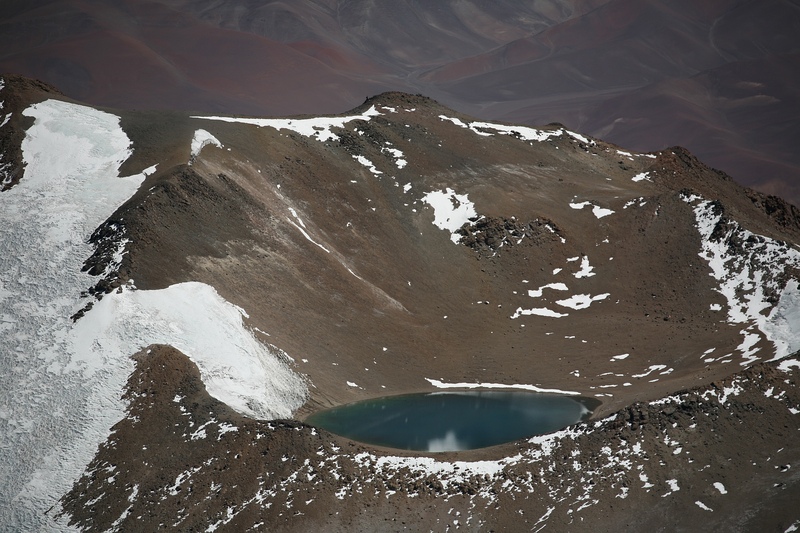 The expeditions of MedExpedition project aim at assessing the behaviour of a human body in extreme altitude conditions and performing pioneer medical studies also during the dives in altitude lakes. 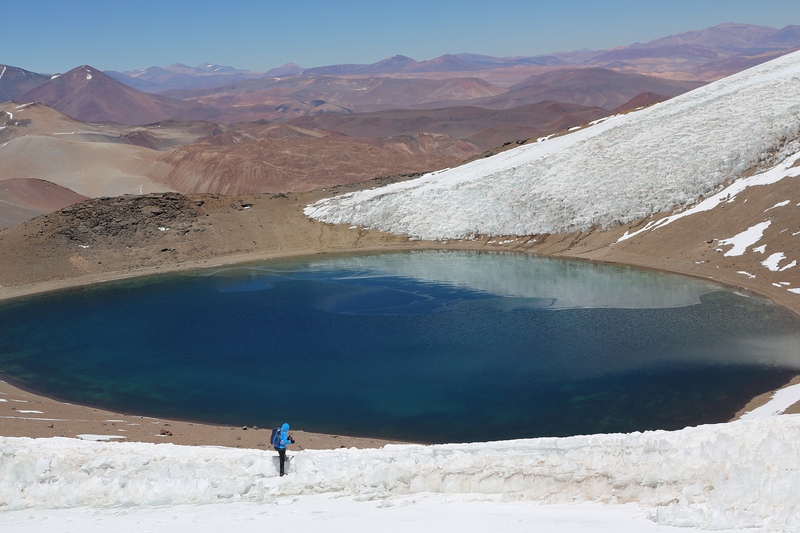 The aim of Nevado Tres Cruces MedExpedition 2015 was to explore Tres Cruces Norte Lake to determine its depth and look for some forms of life. 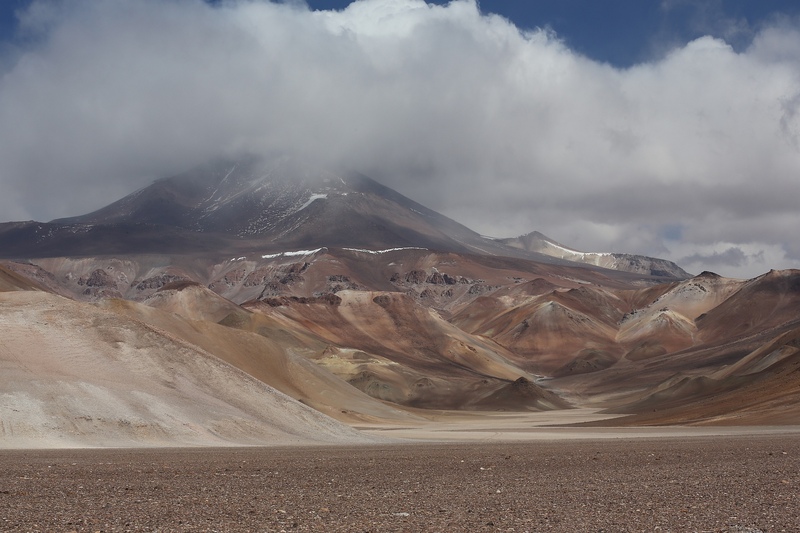 During the expedition some studies were performed regarding the acclimatization of people with implanted heart pacemaker and the impact of altitude on heart rhythm and quality of sleep.